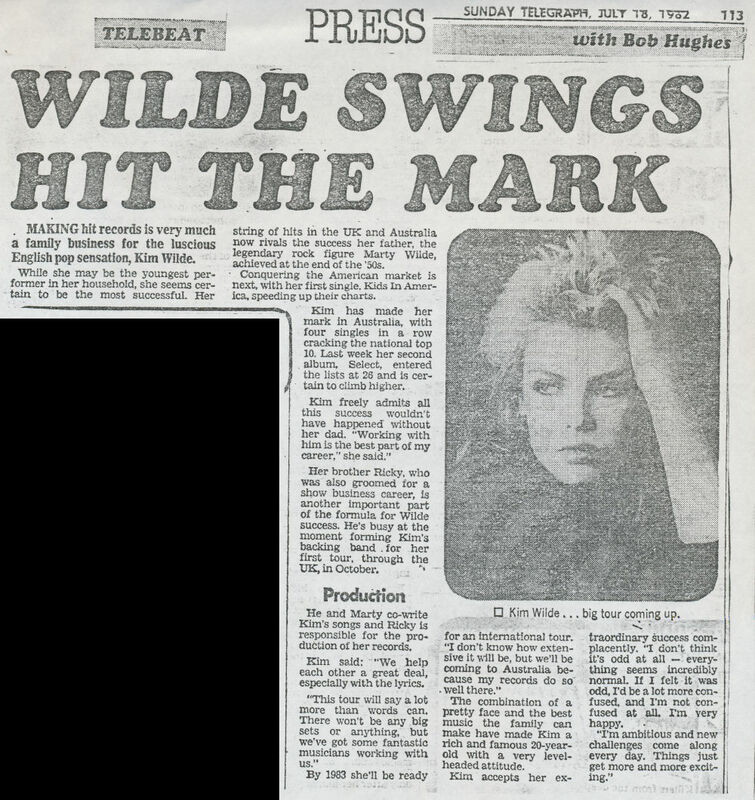 Making hit records is very much a family business for the luscious English pop sensation, Kim Wilde. While she may be the youngest perforrmer in her household, she seems certain to be the most successful. Her string of hits in the UK and Australia now rivals the success her father, the legendary rock figure Marty Wilde, achieved at the end of the '50s. Conquering the American market is next, with her first single Kids In America, speeding up their charts. Kim has made her mark in Australia with four singles in a row cracking the national top 10. Last week her second album, Select, entered the lists at 26 and is certain to climb higher. Kim freely admits all this success wouldn't have happened without her dad. 'Working with him is the best part of my career', she said. Her brother Ricky, who was also groomed for a show business career, is another important part of the formula for her first tour, through the UK, in October.